Thank you for visiting our site! 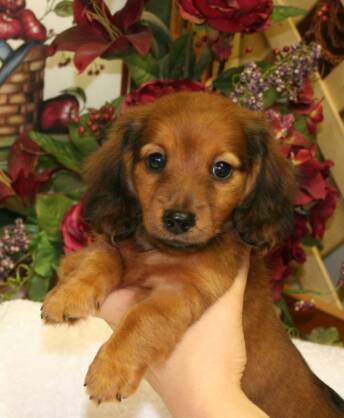 We are a family operated kennel dedicated to breeding quality miniature dachshunds. 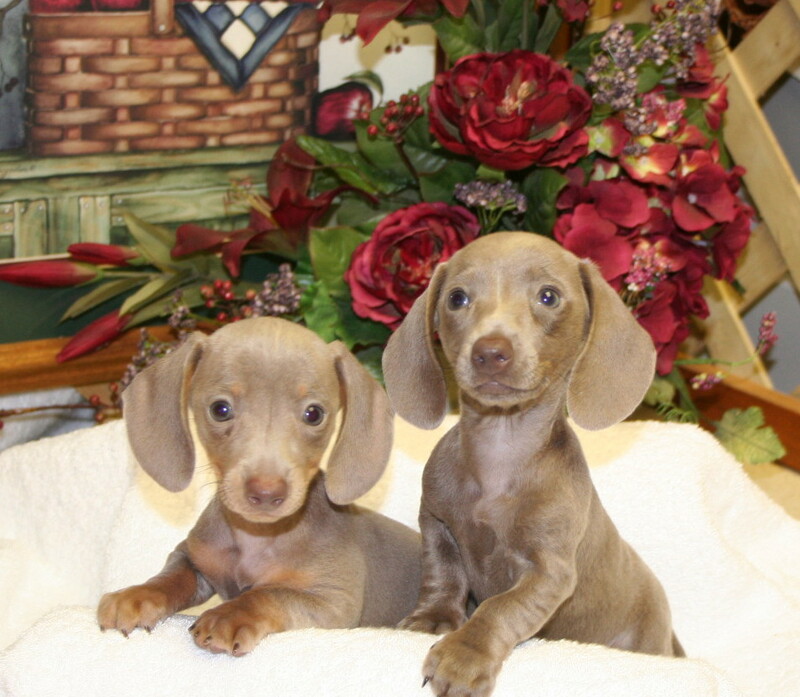 All of our dogs are bred with highest consideration for confirmation and disposition. Our dogs consistently have wonderful personalities and make excellent companions! Our kennel is located on our farm in beautiful North Alabama. We raise smooth and long coats in a variety of colors. All our dogs are AKC registered! We hope you enjoy our site...just click on the links to the left. We welcome you to contact us for any information you may need as you select your new friend and life-time companion! Be sure to visit often for up dates! All emails answered as soon as possible! These two girls are examples of the color Isabella. Check out our Puppy Pages!